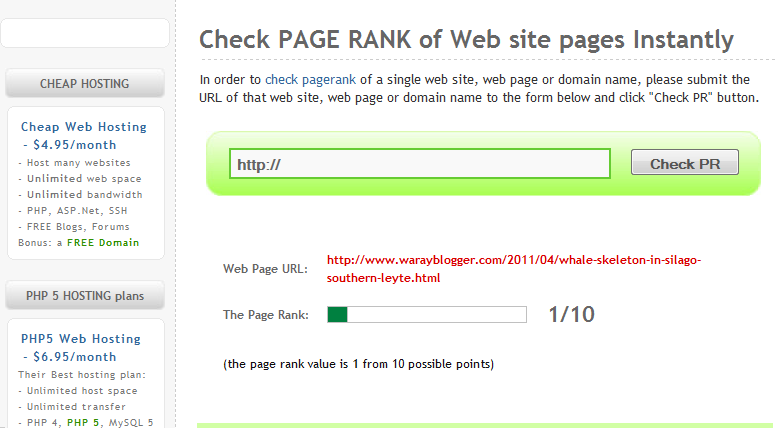 Warayblogger.com: What's Your Google PageRank as of May 4, 2012? Thanks for the update. 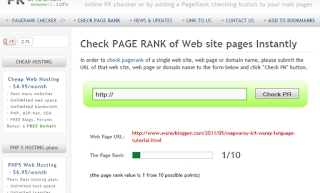 I wouldn't have known...the PR Checker button did not update on my site so I checked manually...back to PR 1 now, wohoo! @Aileen Congrats for the PR1, batchmate! miss you,sis.thanks sa pag visit mo sa blog ko.busy pa rin kahit bakasyon kaya ngayong weekend nakuha kong magsulat. Thanks for the update. 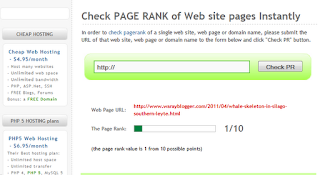 I still have no luck on page rank, but will keep on writing, hoping to gain more audiences and views. Happy writing. Power to you. Wish I had 10 blogs like that. More PR means more power. 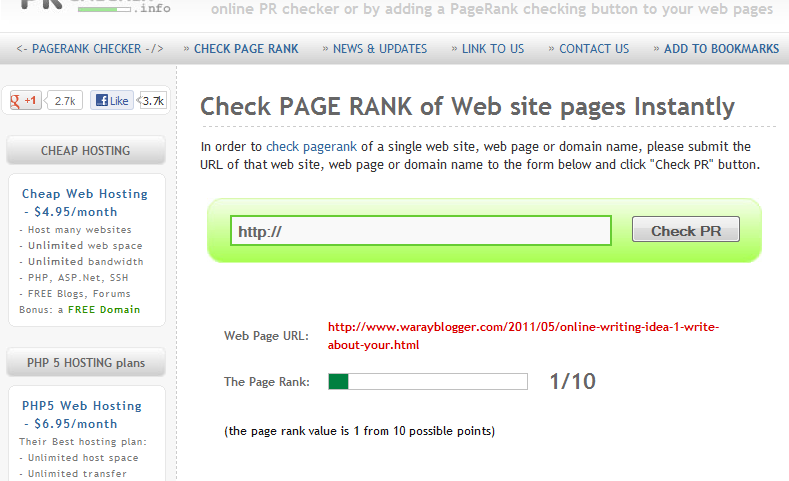 I too was using prchecker.info in the first days when I learned about pagerank. Then it didn't used to ask for the anti-bot code. However still it was time consuming as I wanted to check more and more. 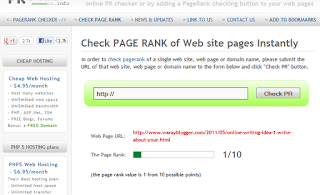 Then I installed firefox addon for checking pagerank. It displays all the time wherever I am. That's why I love firefox so much. Firefox when combined with add-ons, makes you a power user. You will discover a whole new world as you see pagerank everywhere and what it means. 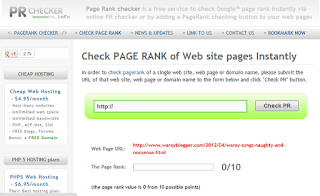 Pagerank is the heart of Google search engine. Its the first and prime thing for Google. Sometimes I wonder if Panda was a joke. But then it has a different way of working. Because the search results are now better with Panda update. @dee gold Hi Sis! Salamat sa pagdaan. Will check your blog again. Enjoy the summer break! @LCM Linda That's the spirit of a true blogger. Just continue writing and the PR will follow. @Manoel Carlos Alves I visited your blog, but I wasn't able to leave a comment because I didn't understand anything. I wish you would use the Google Translate widget to help your readers. Thanks for the visit. I used to be really concerned with my PageRank because I used to write for others. This is very informative though, thank you! 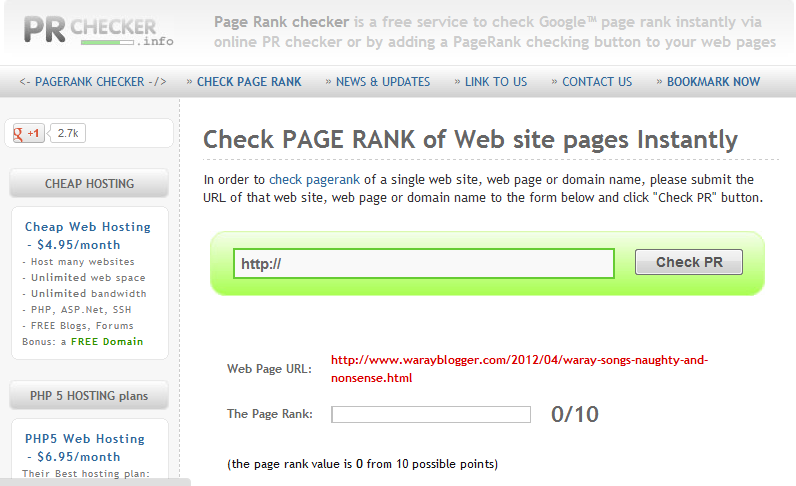 Yeah this is helpful for you to get to the you in google rank. 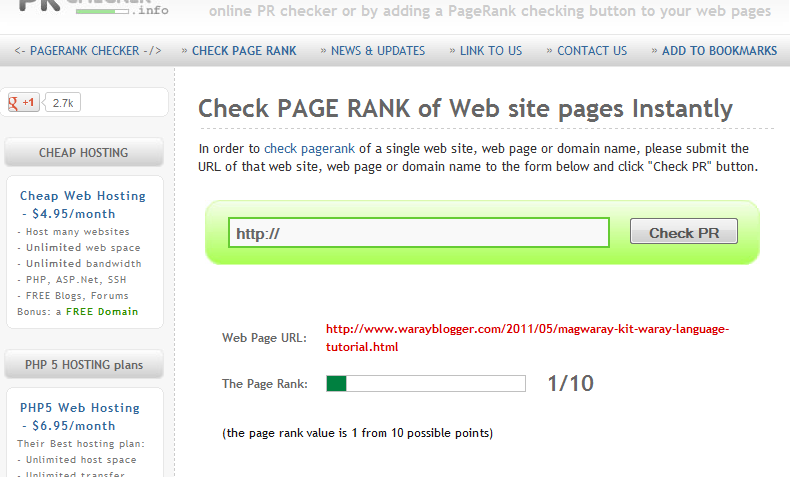 Within two months I ranked up in Google with PR2. But after I was busy and now I rarely post on my blog. So it's still in PR2. Your blog's template is also a very much considerable fact in ranking up in the PR. Soon I will post about that in my blog too. I figured the other pages have their own ranks. That's why I try to put relevant KW in each of my post. Thanks for this. All the best! the other person's website link on your page at appropriate place and other person will also do same for you.